Ever been in a breakfast rut? That is where I am right now. My husband always eats his breakfast on the go due to his schedule so healthy portable breakfast items are a must in my house. Sure, he can grab a pop tart and go, but they never really leave him filled up. With spring here, I wanted to start making some yummy fruit based breakfast items for the family. We have blackberry, strawberry, blueberry and even goji berry plants all around our home and in the woods surrounding it. So last year, I ended up freezing a ton of fruits, so I need to use some of them up before this years harvest. 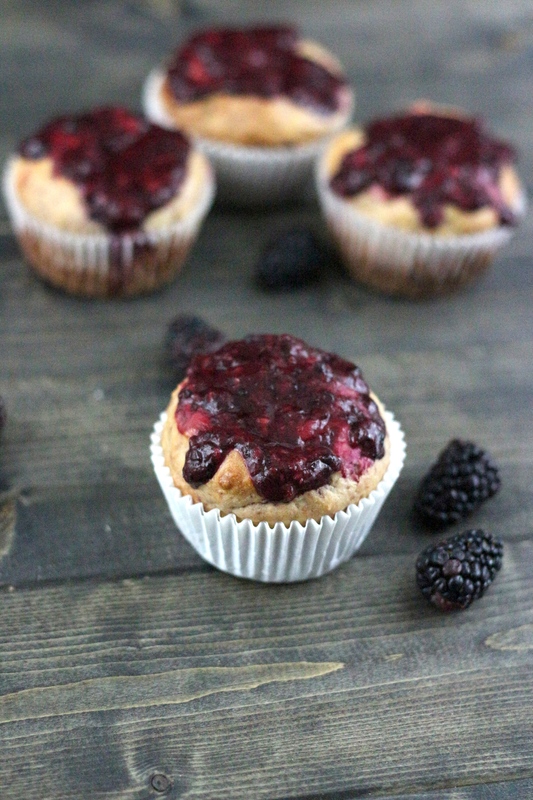 So, to kick off the spring I decided to make these Greek Yogurt Berry Muffins! They are moist and delicious and will keep you full until lunch! Preheat oven to 350 Degrees and line a muffin tin with paper liners and set aside. In a large bowl combine Greek yogurt, coconut oil, eggs and vanilla extract and whisk until combined and smooth. Slowly sift in flour, baking powder and sugar and mix until incorporated. Fold in 1 cup of pureed berries. Divide equally into 12 muffin cups and bake for 30-35 minutes or until a toothpick inserted into the center comes out clean. 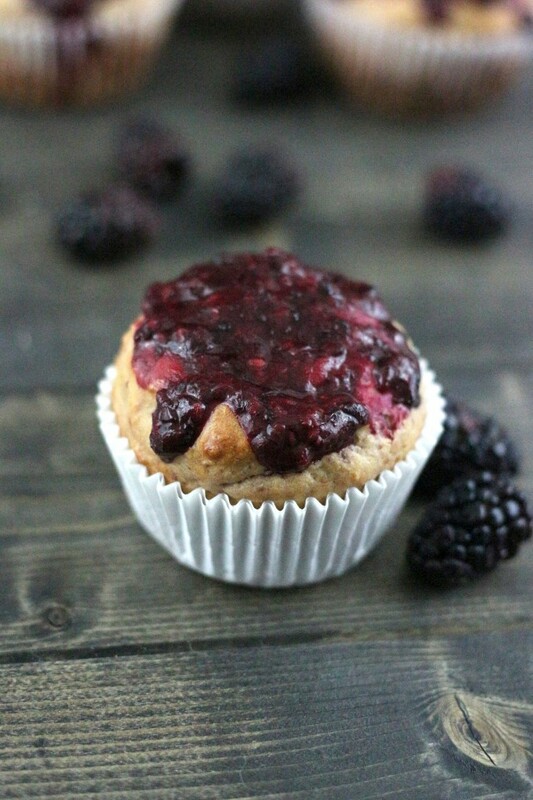 Drizzle remaining berries over the tops of each muffin while still warm.